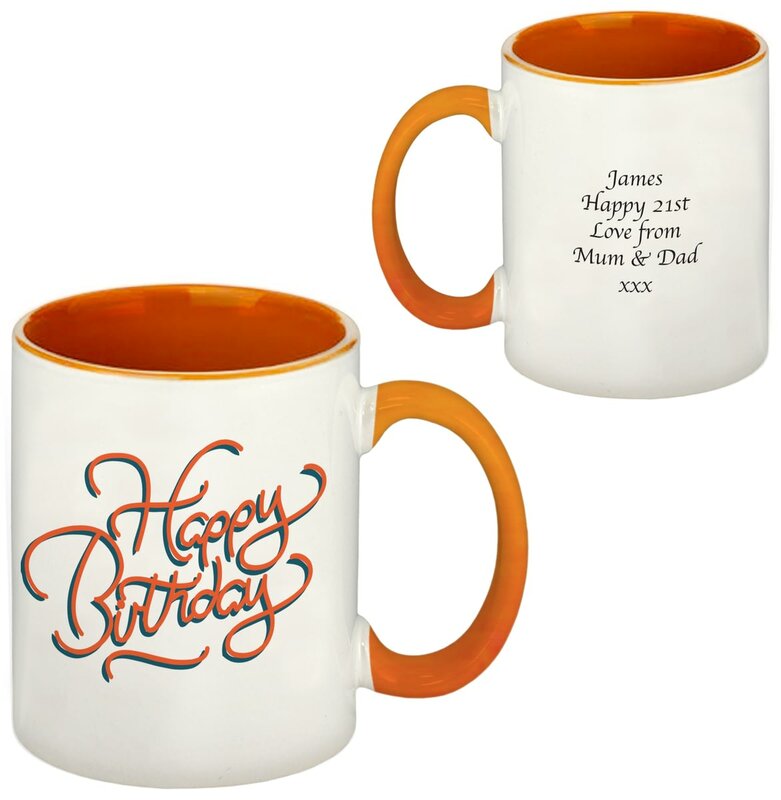 A chic and simple coloured Happy Birthday message adorns the front of this beautifully made, coloured inside & handle ceramic mug, which we personalise by adding a message of your choice. Whether it's for your Mum, Girlfriend or just a friend, this mug says Happy Birthday in a much better way than any card ever could. Here's a personalised birthday mug that tells it like it is. Big and bold right under your name, so there's no hiding it.